Strange creatures lurk in the shadows of the Beehive, while a Beast arises From The Deep determined to destroy us all. Being Neighbourly might just change your life, and if you listen closely you can hear demonic Whispers in the wind. So sit back, take a sip of A Good Cup of Coffee and question all The Things You See. In the city there are no Second Chances and every chapter might be your last. Inspired by Wellington legends and folklore, these thirteen original short stories will drag you on a chilling journey through the eerie, the weird and the strange. 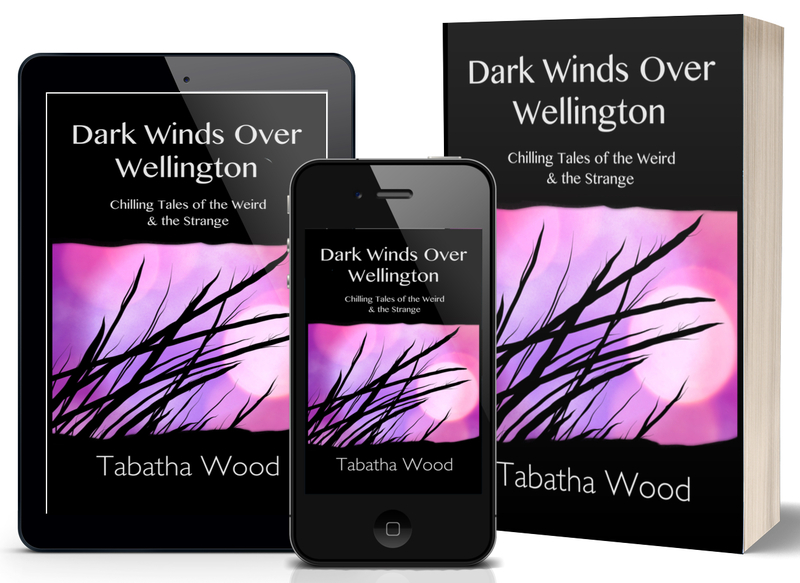 Dark Winds Over Wellington: Chilling Tales of the Weird & the Strange © Tabatha Wood, 2019. Published by Wild Wood Books.